We grow in faith throughout our lives. At St. Mary’s Cathedral, both children and adults are encouraged to participate in educational programs through Cathedral School, the Sunday School of Religion, the RCIA process, and various offerings for adults. 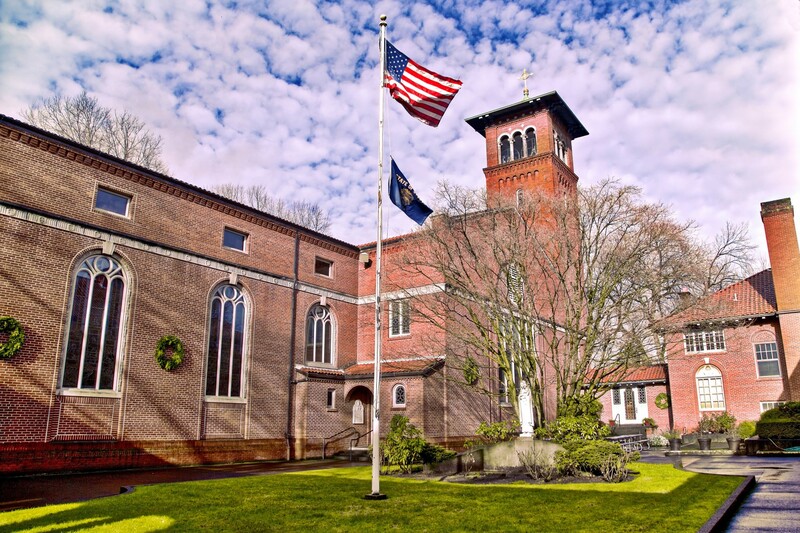 For over a century, Cathedral School has served the children of Portland. Throughout its history, the school has been committed to providing students of all social, ethnic, economic, and religious backgrounds a strong education anchored in Catholic Christian values. The success of the school is reflected in the academic achievements of the students, the strength of the parish and school community, and the dedication and commitment of the faculty and staff. The school accepts children from Pre- School through Eighth Grade. Click here to visit their website. We invite public school children of registered parishioners to participate the the parish religious education program. The program serves children from Grades 1 through 4. Sessions are held on Sundays from 10:15 am until 11:00 am in the school. Registration takes place through the parish office in September. See the information under Sacraments. Adults who wish to learn about our Catholic faith may participate in the RCIA program from September until Easter. Many adults who participate choose to be baptized into the Catholic Church. Adults baptized in another Christian tradition often choose to make a Profession of Faith at Easter.Details of the program are announced in the bulletin. Various programs regarding an aspect of our Catholic faith take place throughout the year, both at the parish, and at other sites. For information about these programs, please consult the bulletin, the parish website, the Religion and Ethics page of the Saturday Oregonian, and The Catholic Sentinel.